HAVING SENIOR PICTURES TAKEN IS A ONCE IN A LIFETIME EXPERIENCE. Empowering, spontaneous and fun, sessions are designed with you to be completely custom. The goal is to celebrate YOU, your style, your quirks, your inner awesome... I'll make you feel like a star while we wander, laugh, and tell YOUR story in photographs. HOW DO YOU WANT TO TELL YOUR SENIOR PORTRAIT STORY? Let's go out and play! NOW SCHEDULING CONSULTATIONS for Class of 2020 High School Senior Pictures!!! HELLO Class of 2020 — I CAN’T WAIT TO MEET YOU! Believe it or not, YES, the time to book your session is the SPRING of YOUR JUNIOR YEAR. By late summer most of my session times are already booked… so let’s talk!! NOTE to Class of 2019 seniors who didn't get to book a session in time for yearbook: If you missed out on your own senior picture experience (or if you received a less than thrilling experience and/or pictures with another photographer) I'd still love to talk with you before you head off on your next adventure! It's not too late for you to still have a GREAT senior portrait session. The experience is about SO MUCH MORE than a yearbook photo. So if you'd still like the experience and the final product of portraits which will last a lifetime -- I'd love to talk with you. In an email (link below) please leave STUDENT and PARENT/GUARDIAN NAMES, EMAILS and a PHONE NUMBER (in case emails go to spam folders). Please also include your SCHOOL and your yearbook deadline (if you know it) in your inquiry. Please check your spam/promotions folder if you haven't heard back from me in 24 hours, or leave me a voicemail: (970) 708-2065 to follow up as I'm often with clients during normal phone hours. Thank you! ......... whether you are the subject of countless selfies or avoid the camera like the plague, a professional portrait session with a capable photographer should be an EMPOWERING EXPERIENCE like nothing else. The direction of an experienced, professional photographer will work wonders making you feel comfortable and look and feel your most awesome! Having your senior pictures taken should make you feel amazing! PROFESSIONAL HAIR + MAKEUP: I can recommend several talented professional hair and makeup artists. Prices start around $75-$150 per person (depending on services requested, payable to your makeup artist). If you'd like an introduction, please let me know ASAP as this requires extra coordination. Note this is often only possible during the week. LOCATION SPECIFIC PERMITS: most places in Colorado require photographs to be taken with insured photographers carrying location photo permits (often date specific). As an insured professional, I am equipped to acquire the necessary permits. Often this requires advanced planning, and certain locations may require an additional fee. We can discuss this at your consultation! Locations outside of the Denver area are available during the summer months only. Additional fees will apply for long distance travel. I love these sessions -- if you have a location in mind, let's talk! Your session fee INCLUDES your favorite file, retouched for your yearbook (printable up to 5x7). Your FULL STORY is told in the collection of pictures that we'll create together. At your proofing reveal & ordering session you'll see samples of my hand selected boutique line of products. Photo products include: gift and wall Prints, custom Image Boxes, boutique Fine Art Albums, custom session Magazines, etc. For more info, check out the BOUTIQUE. As a point of reference, the average senior client invests between $800 and $1375 on their collection of heirloom photographs. There is no pressure to purchase, and no minimum sales requirement. You invest only in what you love! DIGITAL FILES : accompanying sized digital files (and print/digital rights) are INCLUDED with every photo you purchase. The Senior Portait Experience | Class of 2020 Magazine! 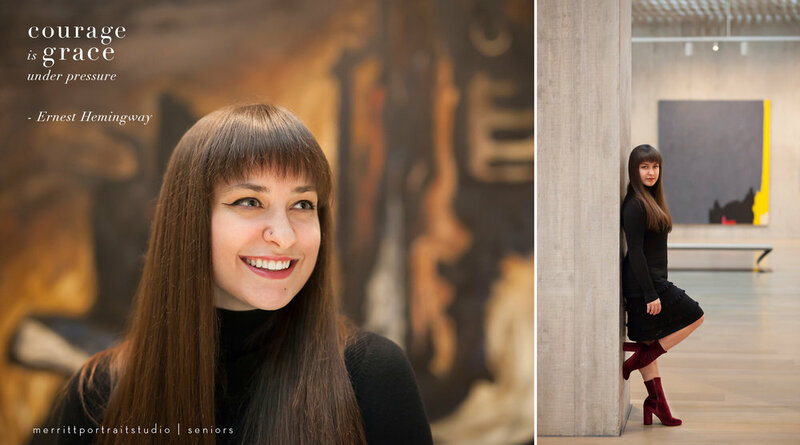 Class of 2018 in Denver: Senior Portrait Season! Class of 2018: WHAT?! It's YOUR TURN for Senior Pictures!! Non-refundable session retainer of $150 is required to book your session (sets up location details and permits if applicable). If you need to reschedule, your session deposit may be transferred to another date if notified within 72 hours. Remaining session fee is due the day of your photo session. Before your photo session, we'll discuss your desired location, styling and design of your session. I have a natural light studio available, but mainly I LOVE photographing on location (urban, rural, mountain, you name it). This is a super fun part of the whole experience! You'll view your proofs at your reveal & ordering session as real 5x7 PRINTS! Color calibrated, professional prints are the best way to make your selections. So much more fun and easier for the selection process than looking at yet another computer screen!! When you arrive we'll discuss your wardrobe and style the session around what you've brought. We’ll ease into your photo session as we walk, and I'll be directing and talking with you through the process to make you look and feel your best. You'll have more fun than you think! Approximately 2-3 weeks after your session we'll meet to see your PHOTOS as 5x7 printed proofs from your session. This will be your opportunity to purchase photos. The boutique line of products is gorgeous (I'll have samples to hold). 5. ENJOY YOUR PORTRAIT ORDER! Final order should be ready within 3-5 weeks of your ordering session (may be longer during late summer/early fall)... and is designed to last for generations! High School Senior Sessions BOOK IN ADVANCE (up to 3 months in advance during summer and fall, especially if you want a weekend) so if you're considering a session, contact me for a consultation NOW! 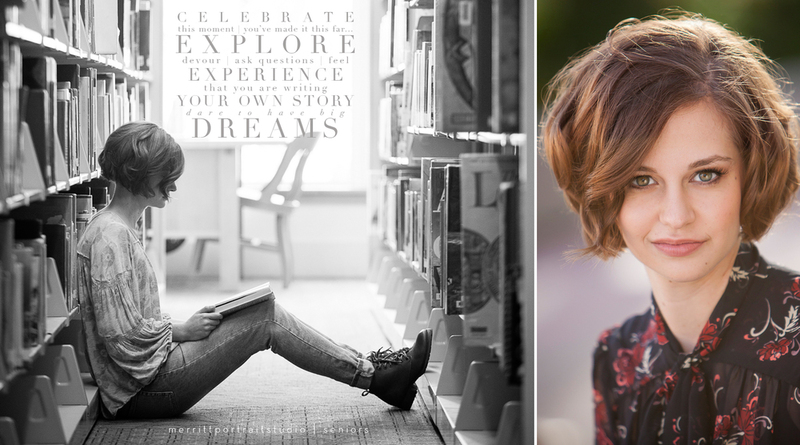 Let's grab a coffee and talk about your DREAM SENIOR PHOTO SESSION! Should a parent come to my senior portrait session? YES! It's not a requirement, but this is really a fun experience and having a parent or loved one there to be part of the session has proven to be an added benefit to the session and authenticity of expression. I don’t even mind if you take some "behind the scenes" iphone pix: in fact, if you get any fun behind the scenes shots, I’d love to see them! Are there any timing requirements or best times to schedule senior photos? I love to do senior photos ALL YEAR ROUND, but here are a few things to keep in mind: if you have a yearbook deadline, give yourself enough time! We need at least 2 weeks from the session to turn around the photos (and give you time to decide on your favorite!) Bookings fill quickly the months before deadlines, so it’s best to book early. Many locations require professional liability and photographer permits to shoot, and this requires lead time to set up properly. What should I bring / wear for senior pictures?? 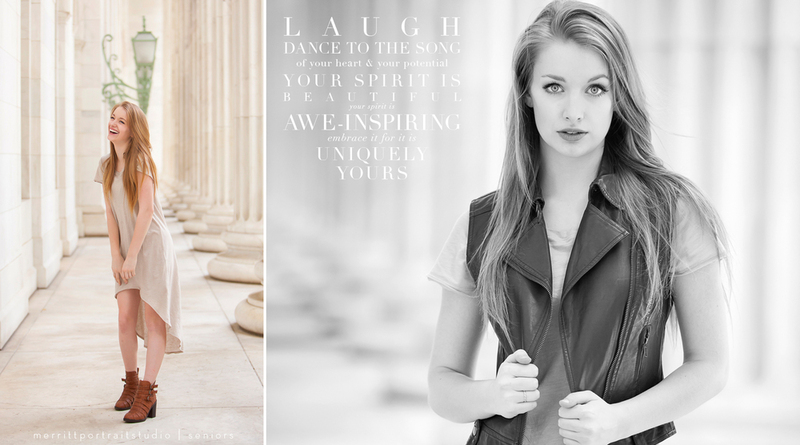 FIRST -- here is a link to a post with my TIPS TO PREPARE FOR AN AWESOME SENIOR SESSION! If you're the kind of person who likes visual inspiration, Pinterest can be fun for ideas. HERE are some collections/inspiration boards I've put together... feel free also to share boards you've created with me if you already have ideas. Do I need to hire a makeup artist? You do NOT need a stylist to feel amazing (trust me, I'll make you feel like a supermodel even without makeup!) but this can be a great way to relax before a session and feel great... and it IS fun! Let me know if you'd like me to put you in touch with an incredibly talented hair and makeup artist who provide an extra layer of awesome to your senior portrait experience. NOTE: Book extra early if you want to add this piece to your session! Currently, my artists are only available for weekday sessions. Do you have a senior model program? Traditionally, senior model or "rep" programs are essentially glorified ways to get seniors to sell for a studio... and I don’t really want to do that to you! But if you genuinely LOVE your experience and want to share it, I DO offer a $50 referral PRINT CREDIT for seniors who refer Merritt Portrait Studio to other seniors ($50 print credit for each paying senior client you send my way).